Parents naturally want to make sure that their children have the best possible care. This is true when it comes to the foods they eat, the television shows they watch, and most certainly their medical care. One of the questions that many new parents have when it comes to the health of their child is whether they should get a flu shot for their child. They also want to know the best age for a child’s first flu shot. Why Is the Flu Dangerous for Children? The flu has the potential to be very dangerous for children. This is especially true for those children who are under five years old. In children who are under two years old, developing severe complications related to the flu is more common. In addition, if the child has other types of chronic health issues, they are at a higher risk of developing complications related to the flu. 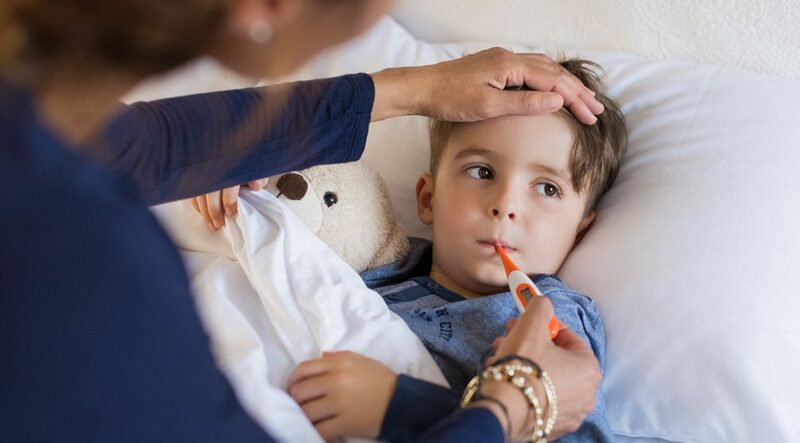 Health issues that could cause the flu to be more dangerous for the children include diabetes, asthma, and disorders of the nervous system and the brain. It is important to keep in mind how much more dangerous the flu is for kids than something such as a cold. Around 20,000 children who are under the age of five have to go to stay in the hospital each year because of the flu. In the most severe cases, children will actually die from the flu. Now that you have a better understanding of just how dangerous the flu can be for your children, you can see why you need to keep them safe. The best way to do that, just like with adults, is to have them vaccinated against the flu. However, there are different types of flu vaccines available for children of different ages. Children who are under six months old are too young to be vaccinated. If you have a child who falls into this age category, the best course of action is to keep them away from people who have not been vaccinated. Starting at six months old, children should be vaccinated against the flu each year. Children who are between six months old and eight years old will take a special vaccine. The first time they receive the vaccine, which should happen at six months, it will be provided to them in two doses. After the first dose, they will need to take the second dose 28 days later. The goal of the first dose is to get the immune system ready. The second dose is what will actually provide them with the immune protection. It is very important to make sure the child gets the second dose. Otherwise, they will not have protection from the flu. It generally takes about two weeks after receiving the second dose for the protection to begin. Once the child has received these two doses, they will only need to have a single dose of the children’s vaccine the following years. Once they pass eight years of age, they can take the regular flu vaccine instead. They should continue getting their flu shot annually throughout their childhood and onward into their adult life. By having the vaccination, it can help to keep children safe, healthy, and out of the hospital. Try to start the vaccination process as soon as vaccines become available in your area. If you have questions, be sure to speak with one of our healthcare providers to learn more about the vaccinations and what you need to do to protect your children.